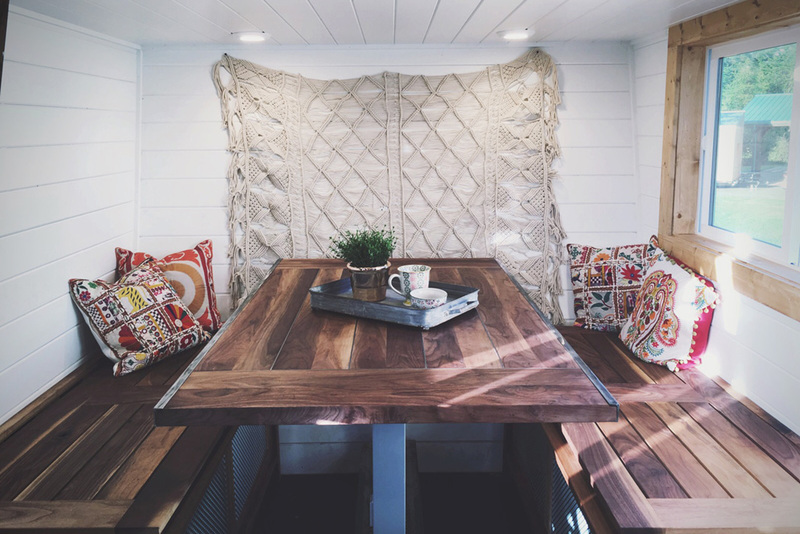 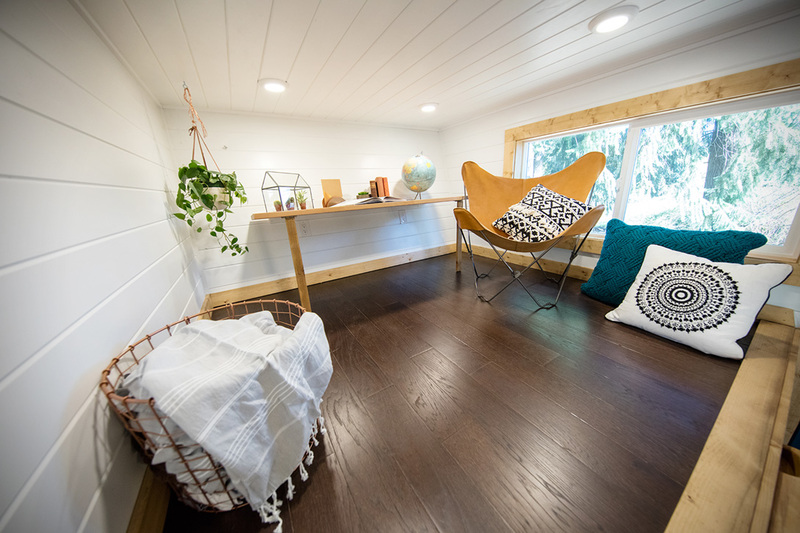 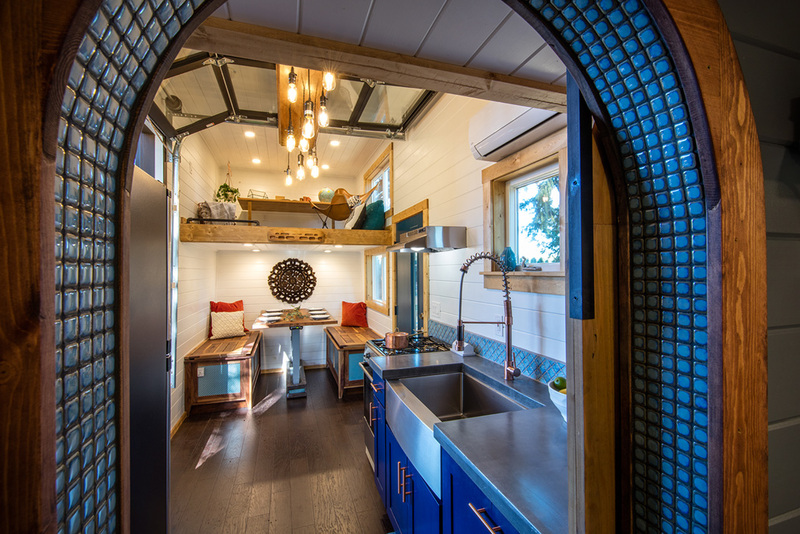 For as cool as they are, tiny homes are synonymous with compromise. 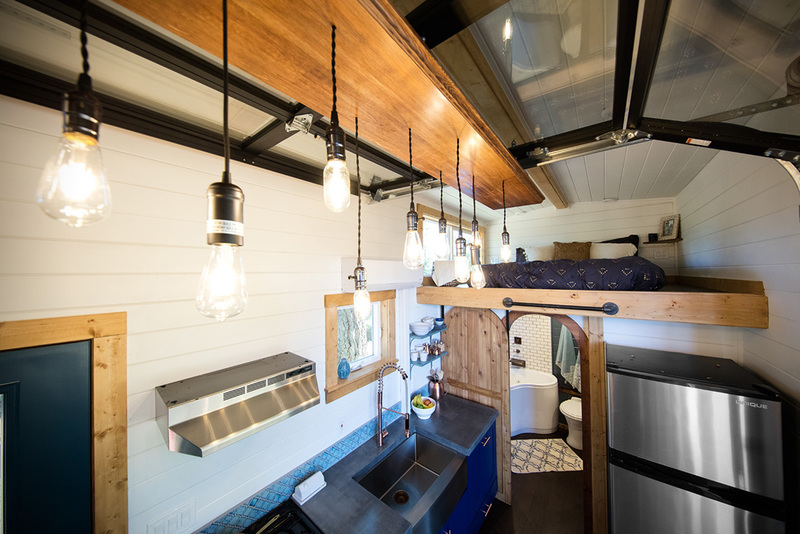 In order to fit into a house small enough to be towed by a truck, you have to make some hard decisions about what you do and don’t want to keep in your life. 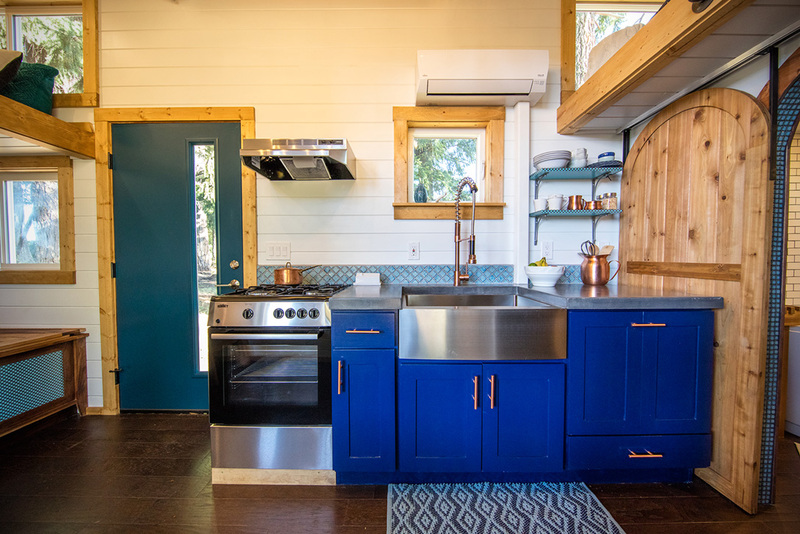 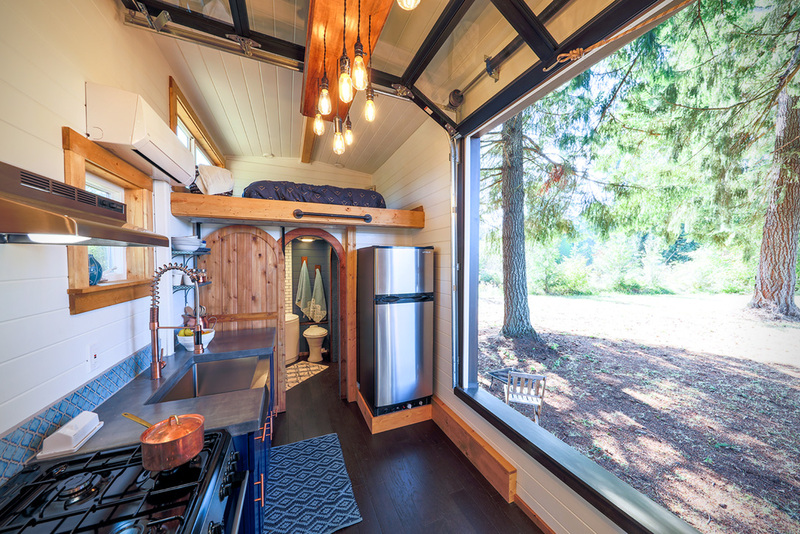 The couple who own the Tiny Adventure Home by Tiny Heirloom, however, found a way to get the best of both worlds. 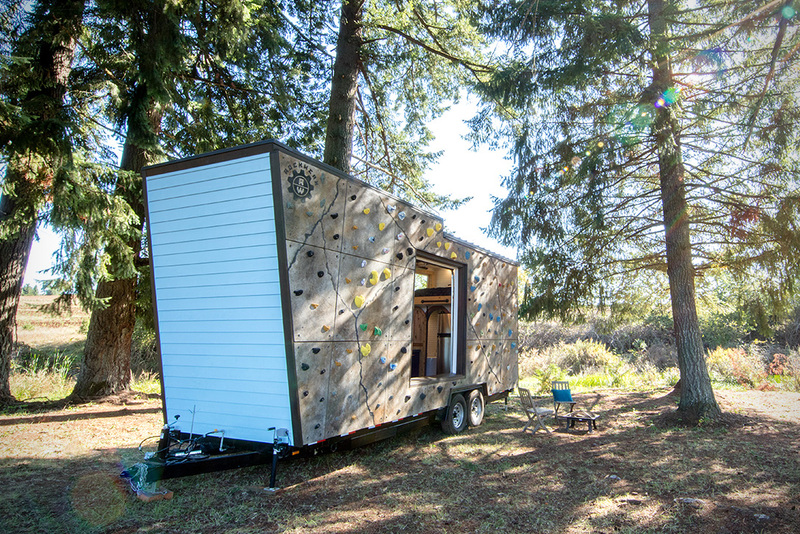 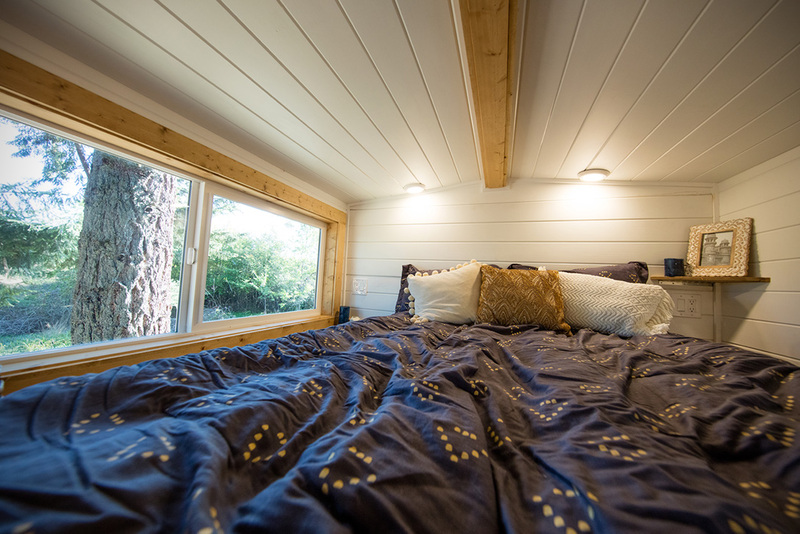 Measuring in at 28 feet long the home is just as small as any other tiny house out there, but thanks to a Rockwerx climbing wall placed on the exterior of the building, the couple can still train for big climbs while living their paired down lifestyle. 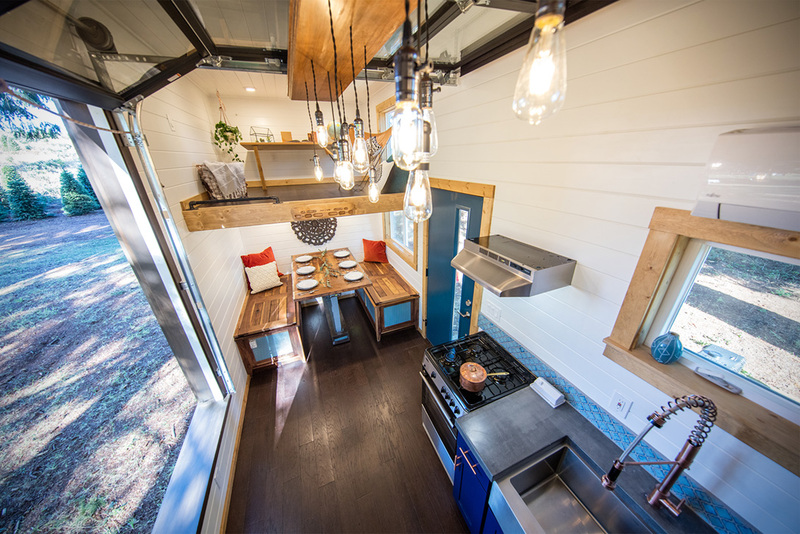 When they’re not training they can enjoy the impeccably finished interior featuring a dining room large enough to seat six, and a loft area just above the table for lounging and socializing. 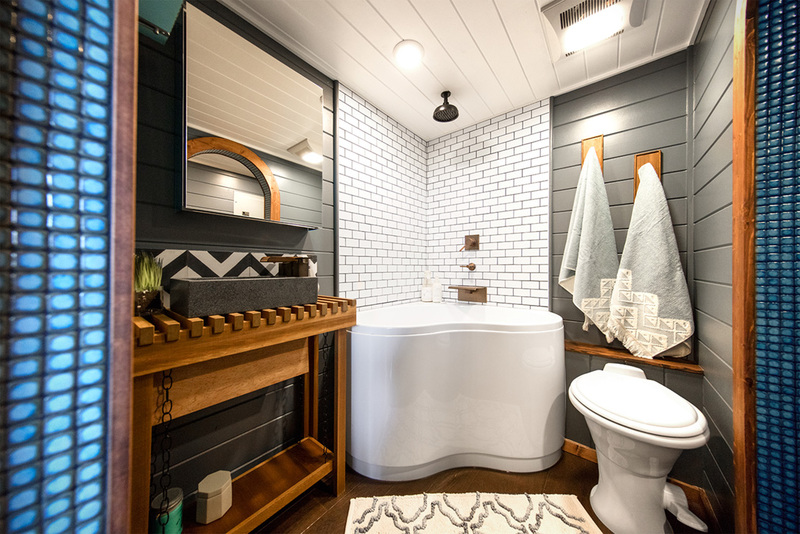 On the other end of the home, adjacent to the fully equipped kitchen there is a full bathroom with a corner soaking tub, on top of which sits another loft that serves as the bedroom. 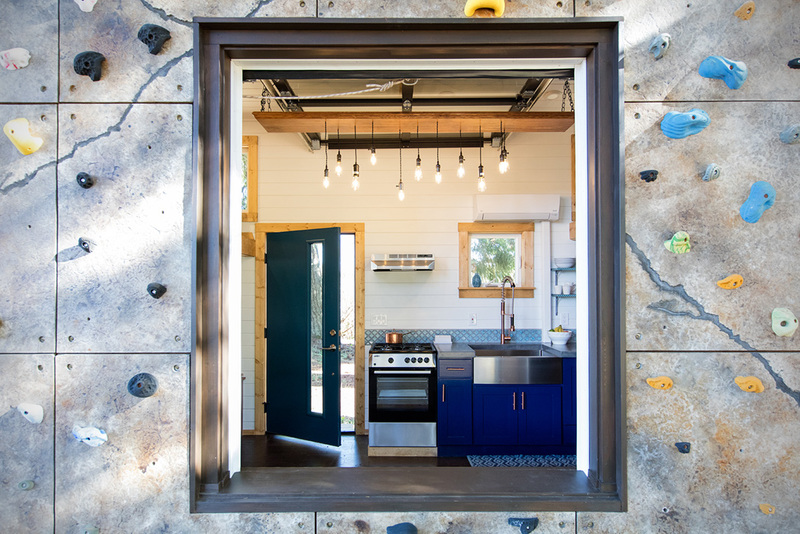 On nicer days, the side of the home opens up via a large garage door, letting in all the light and fresh air. 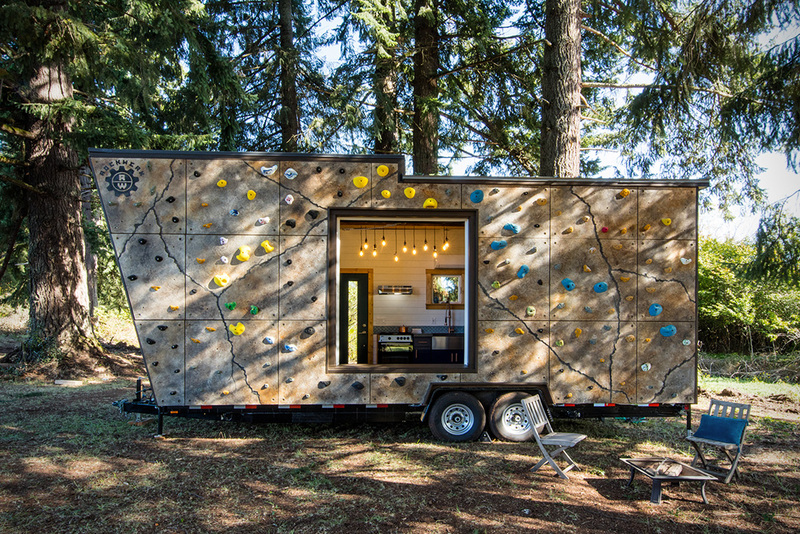 Talk about having your cake and eating it too.